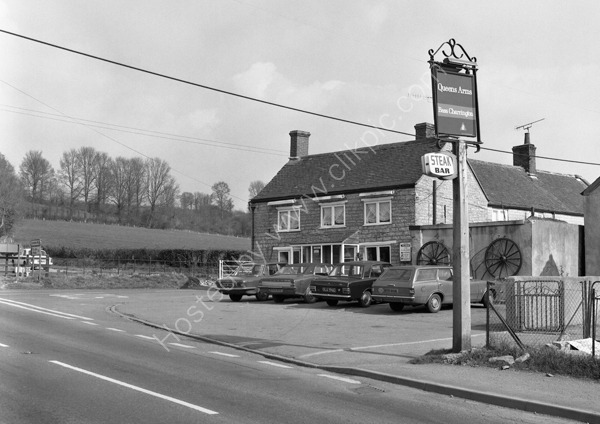 The Queens Arms Wraxall on the A37, Somerset BA4 6RQ, in about 1973. The cars in the car park are mainly Cortinas and are VVW 338L, OYB 303L, OLU 196E and RYD 868L. For commercial use of this shot please go to www.alamy.com and search for AFK533 but for a one-off print, please see below.